Do you remember opening a website and a popup chatbox emerging from the side of the screen, with a “How may I help you a message?” Apparently, you do. Chatbots appear on almost all the websites these days! It is not a random feature they included for entertainment purposes. Usage of Chatbots has been evaluated over years and is observed to serve both the sides, that of buyers and sellers, quite efficiently. What is this entire buzz about? One significant way to grow your business is to get in touch with your clients. Chatbots help to initiate and further regulate the flow of interactions with customers for e-commerce companies. These bots simulate conversations with buyers that, in turn, replicates to the interactive shopping experience buyers get in physical retail stores. So, now you know chatbots have been around for a long time. But it’s still a challenge to implement these because their efficiency lies in their capacity to learn, improve, and update. Artificial Intelligence constitutes the core of chatbots and the best ones have their AI process immense flow of information from literally millions of requests. Online retailers who cannot manage many customer conversations at a time have to resort to calling centers for a rigid customer support. Chatbots bring a middle ground in such scenarios. Retailers still don’t have to attend all the customer requests themselves but bots on their sites handle requests and come up with meaningful responses in case of store navigation, product recommendations as well as comparisons. The most intuitive definition is that a bot is software that can have a conversation with a human. For example, a user could ask the bot a question or give it an instruction and the bot could respond or perform an action as appropriate. This definition seemingly leads to two potential misconceptions. The biggest misconception that arises is that a chatbot will respond in a humane manner, in the way a human would speak with another human. And, this is not wrong to expect since science fiction has set our standards pretty high! While this may be the end goal, our current implications of technology lag behind in providing such experience. Not only is it next to impossible, it often leads to unrealistic expectations for chatbot capabilities and what follows is a trail of inevitable frustrations when these expectations are not met. The second misconception is that a chatbot communicates using only text or voice. With the rise of its usage and creativity pouring in, chatbots now allow users to interact with them via graphical interfaces. And, ‘Only Text/Voice’ is an old school now. So be the one with the trend and check out WeChat, Facebook Messenger, and Kik who allow web views on which developers can create completely customized graphical interfaces. 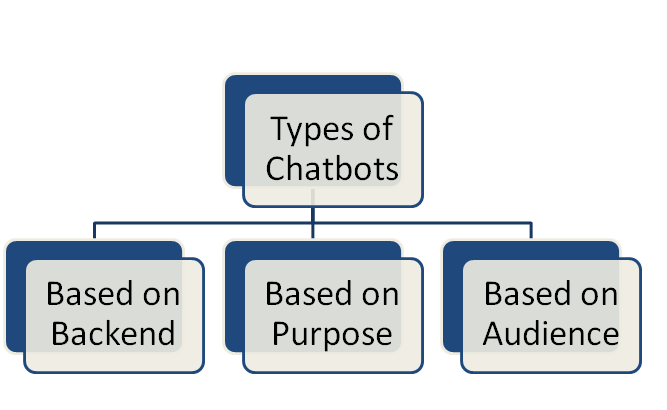 To understand the nature of chatbot conversations it is important to categorize it into types so that we can anticipate what type of response is to be expected. Note that there is no content out there that is the ‘definitive guide to chatbot types’ but we will try to cover all the possible domains in which chatbots are developed and used. This section will mainly focus on types of chatbots distinguished on the basis of how their backends are designed. We begin with this category because it focuses on an essential task that chatbots perform which is to respond. Flow chatbots are the oldest type of bots. They are tree-based. Meaning, they respond in an already determined manner and what they are going to say is fed to them by the developer. You will have the freedom to answer or question these, but the scope is limited. Have you ever played book-based games like ‘Choices’ on your smartphone? Such games allow you to choose from certainly given options and next page of the book appears based on the choice you make. Understand that you do have the freedom to choose one of the given options, but you are still bound by the possibilities that the developer has decided. 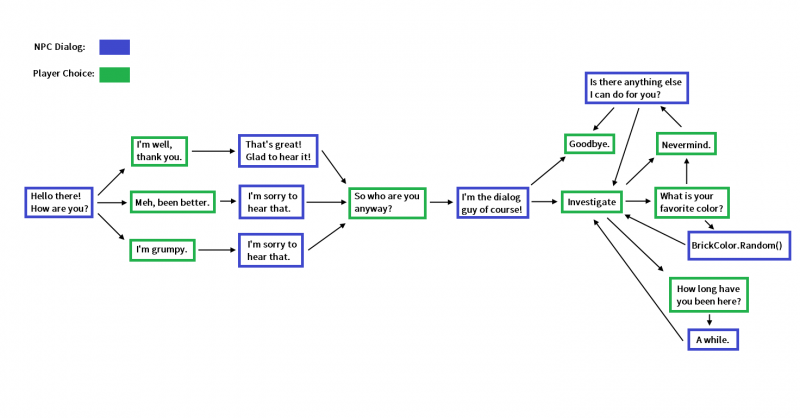 Above is an example of a flow chatbot. For the most part, flow chatbots include buttons, keywords, and catchphrases instead of free writing. These elements drive the client down the predefined path. Instead of predetermined flow, artificial chatbots rely on AI for their functioning. They let the users engage in a much freer way. 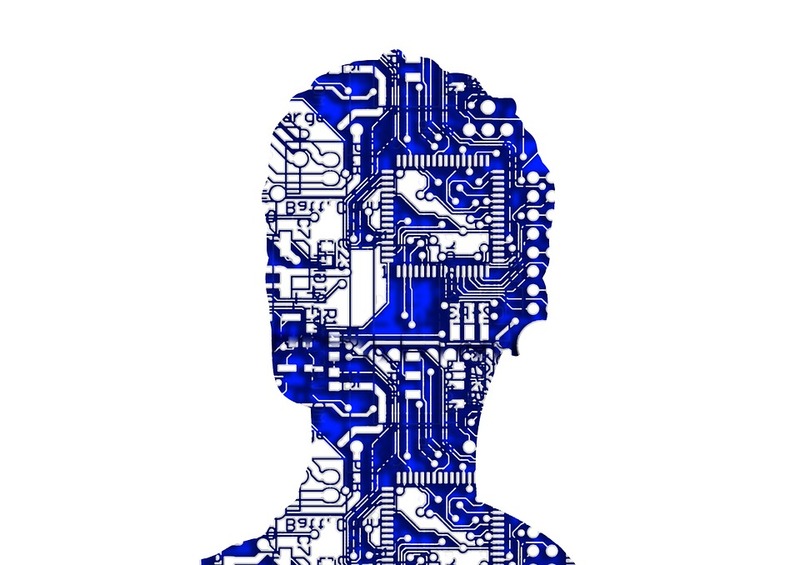 Due to an implementation of AI, these chatbots update their knowledge and perception based on their user experience or their experience of the real world. One best example of such robot is/was Tay (which is a two way AI, discussed later in this article) delivered by Microsoft in 2016. It met quite considerable and rather horrible consequences. Hence, it is established that Artificially sound bots implement a higher level of NLP (Natural Language Processing) to respond efficiently and also, update their knowledge base. AI Chatbots can be further distinguished as follows. One-Way AI chatbots implement artificial intelligence on the one side of the interaction. They decode user’s input using NLP and provide an output as defined by the developer. 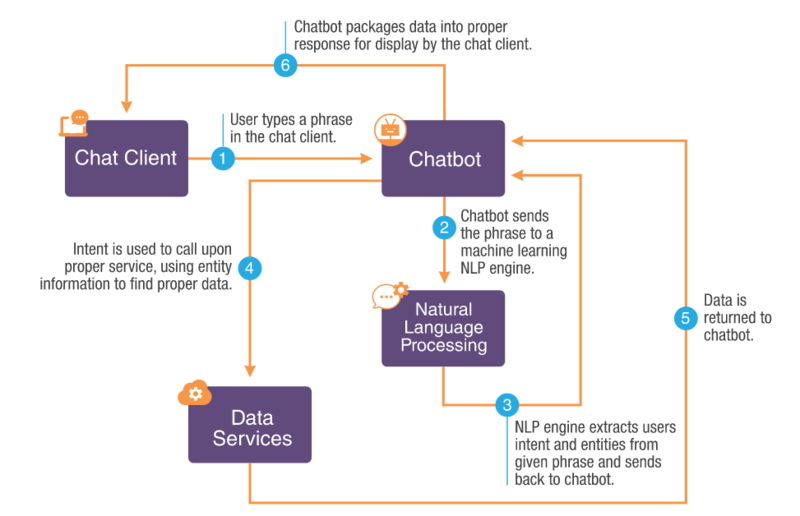 The significant difference between Flow Chatbot and One-Way AI Chatbot is- In flow bot, the user response faces limitation in terms of buttons or keywords. Here, the user feels comparatively free when it comes to providing his own input. The response in both the cases is pre-fed. Two-Way AI use AI on both the sides of the interaction. Meaning, as opposed to One-Way AI, it implements AI to provide output too. Rather than coordinating a plan and singling out an answer from a pool of pre-made answers, two-way AI chatbots have the capacity to assemble replies on the fly – as it were. Most two-way AI chatbots work by associating with a database of accessible data they can gain knowledge from. Two-way AI chatbots have the capacity to process client input, comprehend the aim, at that point build the most exact answer before conveying it to the client. As you can imagine, these chatbots can learn after some time (experimentation, better database, better data to work with, and so on.). Here and there, they fire back (Hello there, Tay). As the name suggests, hybrid bots establish a middle ground between the two elemental categories mentioned above. 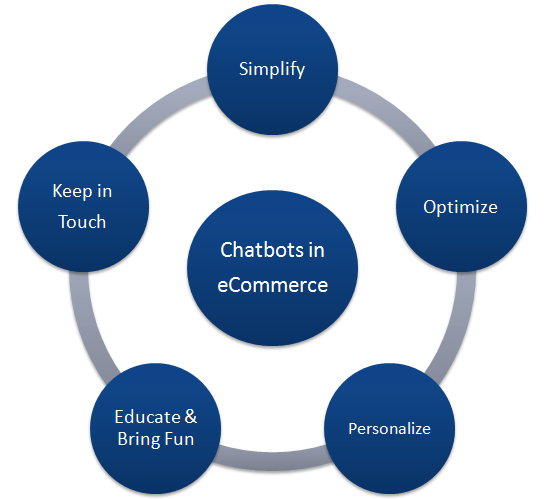 Right now, most of the commercial chatbots fall in this category for mainly two reasons. It is quite unfeasible to imply either flow bot or AI bot. It makes no sense if user input directs conversation because that can lead to either unfruitful interaction or catastrophic updates in AI knowledge base. 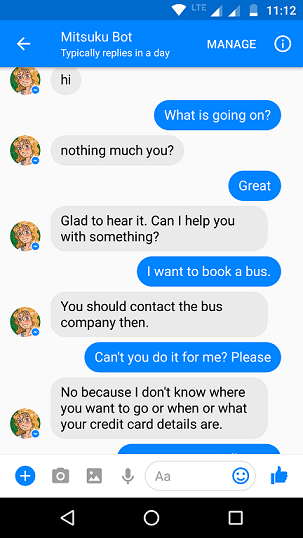 These bots essentially use AI for weaving the conversation but with their pre-fed instructions, will make sure the conversation never leaves the realm of purpose for which this chatbot is being used. 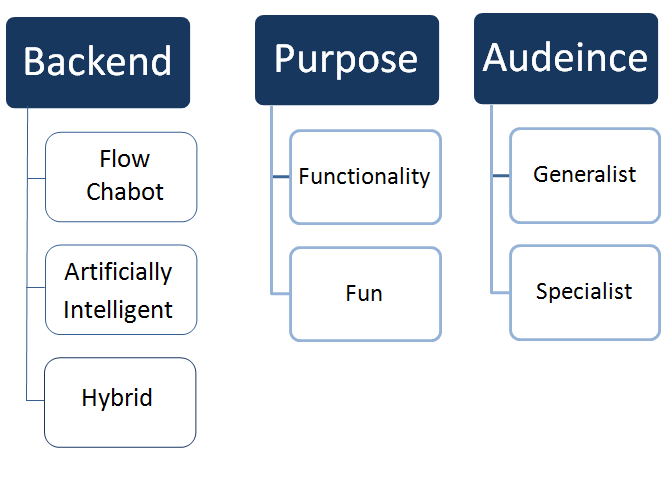 One other and an equally great way to distinguish between various chatbots is by what purpose they serve. Now you might ask, “Don’t all the chatbots offer the same purpose? Of chatting?” Well, there can be different types of interactions people keep looking for. We distinguish these purposes into two elemental forms. Functional chatbots perform tasks that serve as a commercial help. These optimise a process. 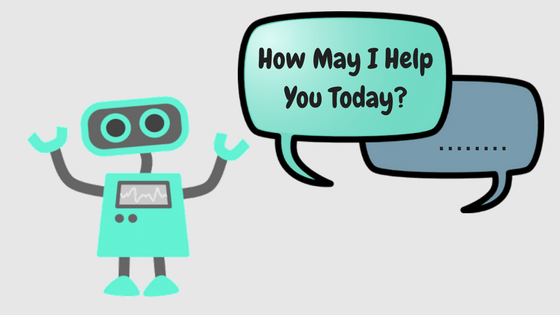 For example, imagine a bot on eCommerce which responses to your queries and help you navigate through your store. On the contrary, fun chatbots are just for fun conversations. They essentially do not serve any purpose, but amusement is at the center of their working. Fun chatbots could be further categorized into sub-classes (social chatbots, mark persona chatbots, and so on.). The point to recall here is that however, a chatbot can have a fabulous time angle and still be useful, a fun chatbot has no capacity. Last type in which we will distinguish chatbots is in terms of their audience- What type of people are going to use the chatbot and on which platform. A generalist chatbot is an all-rounder (Yes, pointing at Siri). They know and do it all. As you can imagine, these are very complex to implement and world’s well-known ones are developed by big companies like Google, Apple, etc. These chatbots extract data from very deep and nested knowledge base and are generally very well versed with Natural Language Processing. Specialist chatbots focus on one constrained thing and do that one thing extremely well. Without a doubt, Siri can give you data about various types of summer apparels, however, would you be able to buy those dresses in your country, will they fit you well, and do you need exactly those or some other dresses? Expert chatbots have the one of a kind preferred standpoint of knowing precisely what they are here for. Having a sole objective to achieve is an invited confinement in the AI world. It lessens the mistake edge, makes it less demanding to comprehend client purpose, and offers helpful fallbacks. By developing a chatbot that is efficient in responding with various types of interactions (recognized commercially), you will have the opportunity to provide customers various services like personalized push ads, customized navigation, and responses based on buyers’ old preferences. Along with managing interactions with your customers, live chatbots can be programmed to keep information about your inventory. This will help you very peculiar issues such as letting you and your customers know whether a particular item is in stock or not, without you getting involved and set it up manually. Similarly, chatbot can inform customers about an item they wanted to buy but couldn’t buy it earlier because it was out of stock. Users’ Insights within Facebook’s built-in promoting platform can be a greatly helpful device for finding out about your clients’ conduct on the web. 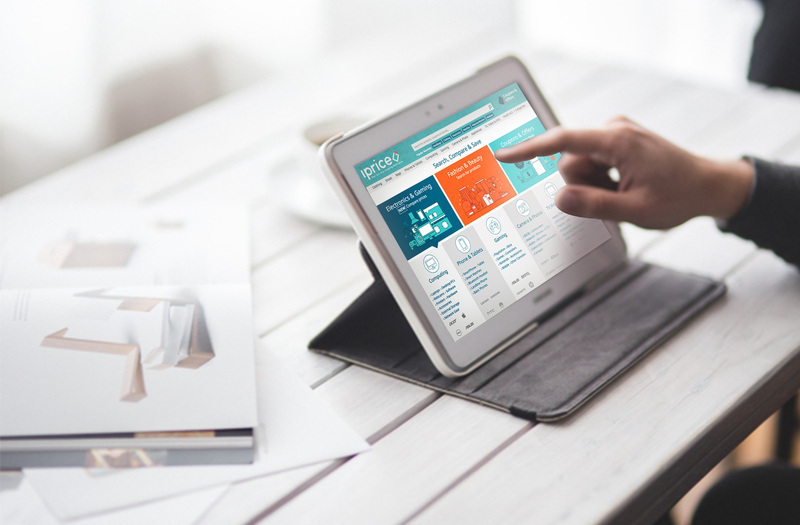 Indeed, online networking publicizing is an awesome open door for you to assemble urgent client and buy information. By joining this with in-Facebook chatbots, organizations can supercharge their deals. It was reported at the current year’s Facebook F8 designer conference that computerization will enable brands to propose items inside Facebook visit discussions. Chatbots present many points of interest to organizations hoping to grow their operations by sparing money in specific zones like customer benefit. Live chat applications can give a cheaper alternative to enable you to eliminate group numbers and give a magnificent administration to clients by following user chat histories and giving individuals prompt, non-earnest help. Sometimes, this can be adequate to satisfy their requirements. If till now you are wondering if you do need a chatbot for you then we suggest you give it a shot. If you are wondering how to integrate a chatbot with your business, there are a plenty of tutorials out there. If you want some footprints on the same then go here and help yourself. Do you use chatbots for your online business? How has your experience been with chatbots? Feel free to share your views and experiences with us!